Jack Blood of "Deadline Live," brings together the survivors of two different government-sponsored false flag events in a conference call / interview to discuss the similarities of those events - most glaringly of course, the tragedy of losing family members to the machinations of government turned rogue. 9/11 family member Bob McIlvaine, whose son Bobby was killed on 9/11, is accompanied by OKC survivor V.Z. Lawton, and Jannie Coverdale who lost her two grandsons Aaron and Elijah in the Oklahoma City Bombing on Apiril 19, 1995. The interview is in hour two of the April 19 2010 broadcast. Hour one consists of a tribute to the victims of Waco, The Oklahoma Bombing and 911 Family Members. The alphabet agency directed massacre at Waco of course happened on this same day. Audio clips from the film, "Waco, the Big Lie" are played. Asif Zardari told a meeting of former senior civil servants in Islamabad, it was time to be honest about their deployment. "Let us be truthful to ourselves and make a candid admission of the realities," he said. "The terrorists of today were the heroes of yesteryears until 9/11 occurred and they began to haunt us as well." These groups were not thrown up because of government weakness, but as a matter of policy. He said they were deliberately "created and nurtured" as a policy to achieve some short-term tactical objectives. His comments amount to an admission that Pakistan trained Islamic terrorists to launch attacks on India as part of its long war over its claim on Kashmir. 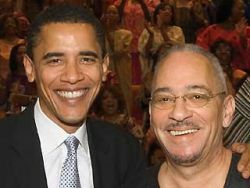 Obama's pastor Rev. Jeremiah Wright speaks truth to power at the National Press Club -- Hear his entire speech and all the questions and answers from the Press --uncut and unedited on No Lies Radio Saturday and Sunday. Find out what all the hub-bub over Obama and his pastor is about. This is one of the most powerful speeches of our century given while the press hid in the balcony and submitted fearful questions to him. He was greeted with standing ovations from the floor.